Let your nails be the center of every occasion. From tips to toes, you are beautiful. We offer professional nail service. If you are looking for a professional atmosphere with professional results, look no further. Our goal is to provide safe and professional services. We disinfect our equipment with EPA registered disinfectants prior to every service. We care about you and the is why we use pipe-less whirlpool systems and Sani-tablet, the EPA registered disinfectant for whirlpool spa chairs, to disinfect the water in the basin before you soak your feet. 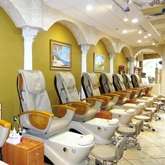 We would like to invite you to experience our full service nail salon. 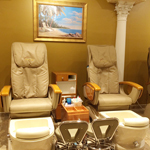 We have elevated nail care to an art, where licensed and experienced professionals are dedicated to creating a luxurious and indulgent experience for all of our customers. You can enjoy the ultimate relaxation experience in our elegant foot spa, where daily stress is kneaded away with our soft vibration and rolling system. 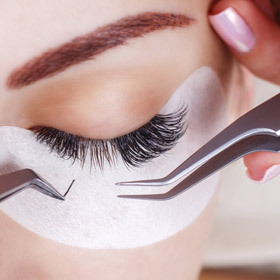 All of our equipment and the products that we use are state-of-the-art and complete sanitized. Forget your troubles while listening to our soothing spa music and journey into a world of indulgence. Choose your favorite nail design or work with our experienced staff to create your own. 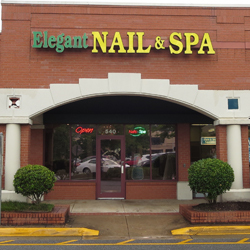 We guarantee that your visit to Elegant Nails will be the most pleasurable and serene moment in your active week. We promise that we will provide the best care possible every time you visit our relaxing environment.